You will amaze your family and friends when you make this gorgeous quilt! Designed by Jackie Robinson as a block of the month, you can purchase it here as a complete kit that includes all the "He Still Loves Me" fabrics for the top & binding, the pattern, and free shipping! Jackie also designed the gorgeous purple/green fabrics used in this project. 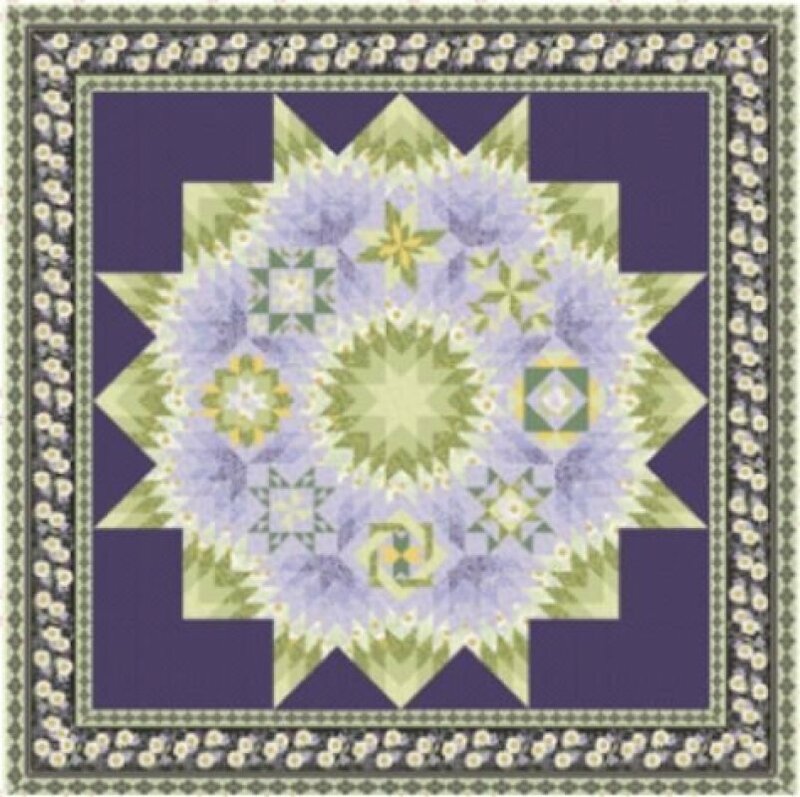 The beautiful floral border is easily achieved using the striped fabric specifically designed for these quilts. 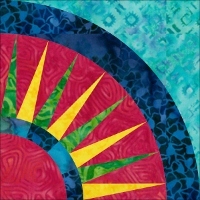 This is a rotary cut quilt that utilizes standard rulers and is suitable for confident beginners.